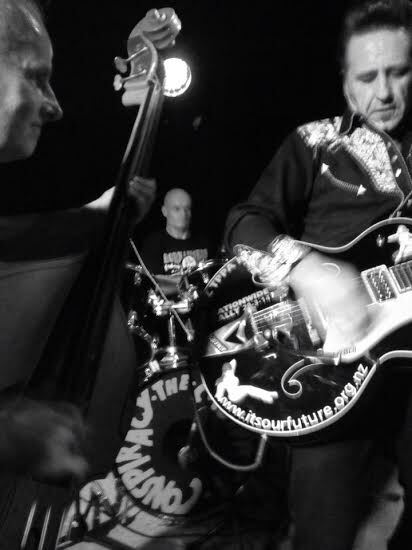 My old school friend, Antony Maddock talks about his love of rockabilly, his two bands Wayne Mason and The X Ray Catz and the Tony Mad Trio that will be performing at CubaDupa this weekend, and his awesome work in the TPP Action group to help us and our councils be TPPA free. This entry was posted in Social & Civic and tagged Activist, Festivals, Music, Politics, Volunteers by lauriestarfish. Bookmark the permalink.